I HATE PUSHUPS!!! But oh how I would love to be good at them. I like to think I am pretty fit, but every time I do a pushup I lose all hope. If you look below you will see how horrible I am at pushups! Please excuse the beginning where my head is cut off. 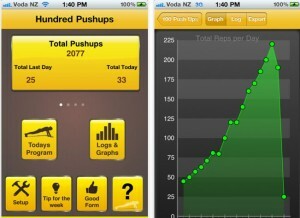 I decided to push myself to do more pushups when I was reading a YumYucky post the other day. YumYucky said how she gets bummed out when people say they can’t do pushups, and I realized I need to stop making excuses and just DO THEM! The first step I took was downloading an app from iTunes called Hundred Pushups . 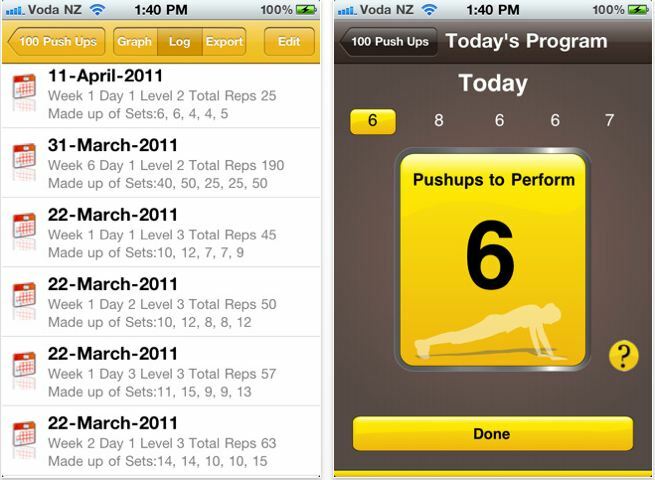 It is a 6 week program that helps you complete 100 consecutive pushups, that is suicide. 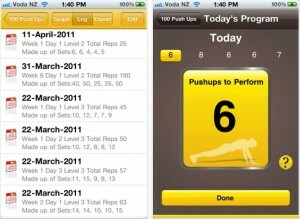 Below are a few screenshots of that app. I will track my progress and make sure to give nothing but my best! I thought I would say that since it sounds good and inspiring, but really, I am going to KILL it! Who wants to do the challenge with me? !